We coined the phrase “Leader-Manager” because we strongly believe that anyone who leads a team needs to have the skills to be both. A leader sets direction, identifying the right things to get done. A manager ensures there are capabilities and disciplines in place to get those right things done efficiently. An effective Leader-Manager excels at balancing both, as one without the other can be a recipe for failure. Many schools of thought claim there is a distinct difference between leaders and managers. I believe today’s organizations require a hybrid of the two; thus, the phrase ‘Leader-Manager’. First, I want to make it clear that this is not yet another debate about the difference between leadership and management. It is rather a look at how the two functions intersect. So, let’s break the two titles down and see how they need to work together. What Are the Roles of a Leader? One of the key responsibilities of a leader is to help forge and embrace the company’s vision. They have to identify and prioritize the ‘right things’ that must be done to accomplish the broad objectives. Then, they must bring that vision to life by inspiring others to work together to achieve those goals. But what if the V.P. just sits down at his desk in his new corner office, crafts brilliant Mission and Vision statements and has them framed on his wall. Six months later, the company goes bust. – What happened? Leaders without managing skills can have a great vision for the company, but nothing gets done. Managers who can’t lead are too busy trying to do it all themselves. So, all managers must lead their teams, and all leaders should be expert managers. This is where good management comes in. What Makes for a Skilled Manager? The role of a skilled manager is to put disciplined processes into place to ensure that the right things actually do get done to achieve the broad objectives. Skilled managers are also brilliant administrators. They can show their team how the broad goals can be broken down into daily and weekly targets. They then manage their team to accomplish those targets as efficiently as possible. 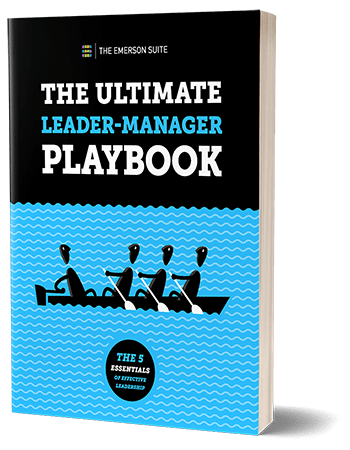 Why Are Leader-Managers Essential Today? Back in the industrial age, leaders could simply bark orders. ‘Managers’ were often no more than cogs in a wheel, blindly executing them. In a knowledge-based economy, managers can’t simply follow orders without thought anymore. They must lead and engage their teams with direction and purpose. They must ask ‘why” and not just ‘how soon’. As businesses are under continuous strain to deliver more with less, effective and efficient resources can make a big difference. In small and medium enterprises leaders and managers often wear multiple hats to keep moving the business forward. Regardless of size, all organizations are also constantly struggling to attract, retain and engage top talent. After all, many people leave managers not companies. The answer seems to be in developing talent that balances the hybrid skill set of leadership and management capabilities. Leaders without managing skills can have a great vision for the company, but nothing gets done. Managers who can’t lead and engage are just busy trying to do it all themselves. Here is the good news: No matter where you are in your career path, there are systems and disciplined processes that can be learned to become a truly effective ‘Leader-Manager’. As your business mandate grows and your team management responsibilities expand, you will find it necessary to be effective in order to excel in your role. You must decide on what systems and disciplines you need to put in place so your team thrives and your organization wins. Having the right team management system in place that you can use to optimize team performance offers two main rewards: task-oriented and behavioural dividends. For task, everyone becomes focused on getting the right things done every day. For behaviour, the daily usage fosters a culture of success by growing the right disciplines in both Leader-Managers and their teams – raising results that positively impacts the entire organization. Just don’t wait until it’s too late!